The backlash was swift ... and FURIOUS. Kendall Jenner and Pepsi created a firestorm of backlash after Tuesday's release of a new ad featuring the model handing a police officer a can of soda amidst protesters. Obviously, because all commercials end happily, this one does too with the cop smiling and the protesters rejoicing except ... that's not real life. In fact, those who actually do protest, notably those involved in the Black Lives Matter movement (BLM) were incredibly outraged and rightfully so. Making light of police brutality — especially in the current political climate — is no laughing matter (and not one that can be solved with a sugary beverage, no matter how cool the brand thinks Kendall Jenner is). 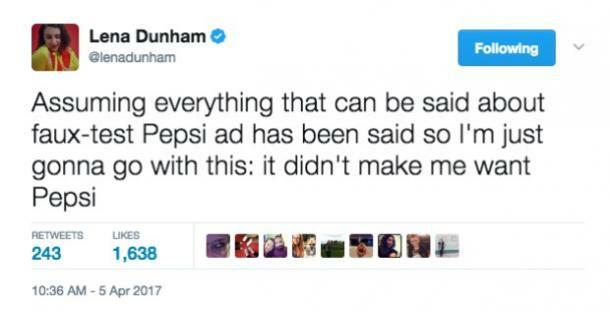 Twitter had a field day with this, calling out both Pepsi and Kendall Jenner. 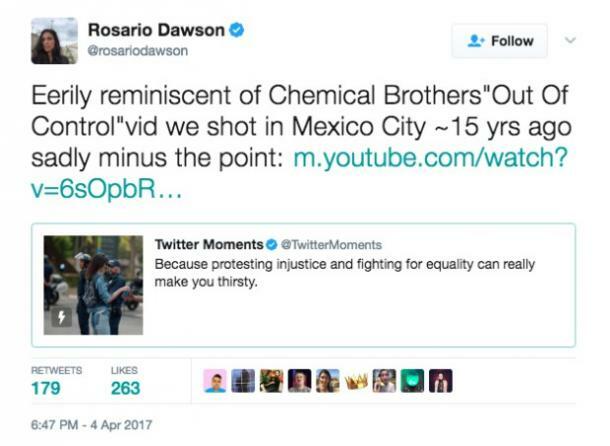 Actress and philanthropist Rosario Dawson even commented that the Pepsi commercial looked a little too much like the Chemical Brothers video, Out Of Control, she starred in 15 years ago. DeRay McKesson, one of the many faces of the Black Lives Matter movement, had a few words to say about the disingenuous Pepsi commercial. “This is a global ad that reflects people from different walks of life coming together in a spirit of harmony, and we think that’s an important message to convey." Obviously, someone in the management department realized that this was about so much more than a can of soda. 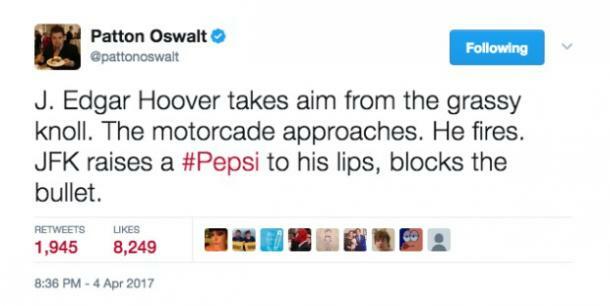 "Pepsi was trying to project a global a message of unity, peace and understanding ... Clearly, we missed the mark, and we apologize. We did not intend to make light of any serious issue. We are pulling the content and halting any further rollout. We also apologize for putting Kendall Jenner in this position."